People do what's comfortable, and as a result, they don't get better. The only way to get better is by doing things you're not currently good at. 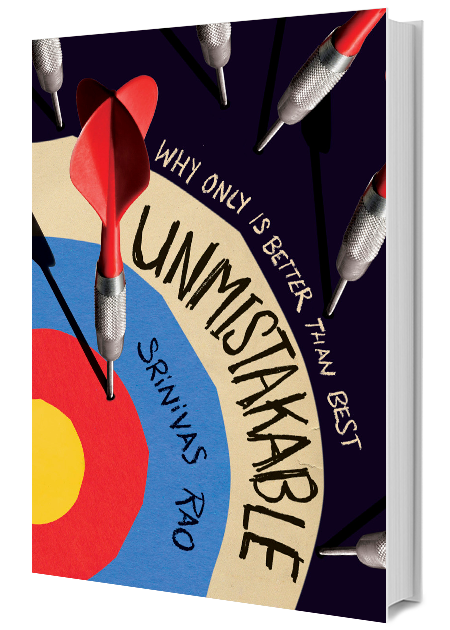 Srinivas Rao is the host and founder of the popular podcast, the Unmistakable Creative, where he's interviewed over five hundred creative people. Former guests on the show include Seth Godin, Elle Luna, Tim Ferriss, Gretchen Rubin, Simon Sinek, Adam Grant, and Danielle LaPorte. His self-published book The Art of Being Unmistakable was a Wall Street Journal bestseller. Sign up for Srinivas Rao newsletter, and more.